Situated just outside the Seonyudo subway station, guests are spoilt for choice on where to start their adventure in this bustling city. Entertainment, retail, dining venues and business enclaves such as popular burger joint, CHAN by Hikoco, is a short 8-minute stroll away from the hotel. Gimpo International Airport, Incheon International Airport, Seoul station, IFC Shopping Centre, and the Myeong-dong are easily accessible via a train or car ride. 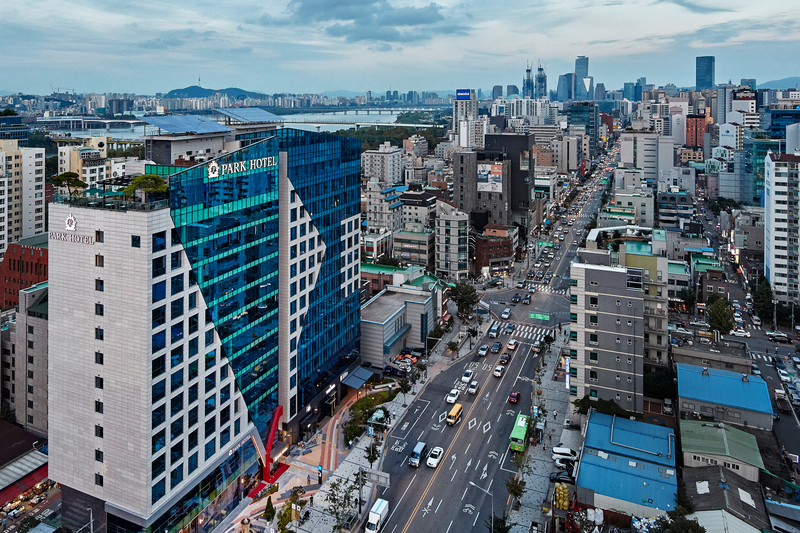 Explore the interactive map below for some of our recommendations on things to do near Park Hotel Yeongdeungpo, Seoul. Here are also some recommendations from TimeOut Seoul. Take the train at Seoul Metro (Line 9). Board the train at Gimpo Airport Station and alight at Seonyudo Station. Take Exit 1 and follow by 1-minute walk to the hotel. Take the train at Airport Railroad Line. Board the train at Incheon International Airport Terminal 1 or 2 and alight at Gimpo Airport. Transfer to Seoul Metro (Line 9), and alight at Seonyudo station.